Time to take a pass on your 12-day juice cleanse or 8-minute ab workout and follow a more sustainable fitness regime. At Milk & Bananaz on Nandidurga Road, health and fitness is a lifestyle choice and they’ve got a tailor-made fitness programme just for you. Milk & Bananaz is here to make health and fitness an active part of your everyday life. This boutique fitness centre offers only personal training to all its clients wherein they curate a fitness regime that works with your pace and lifestyle. Having a more holistic approach to health than most gyms, Milk & Bananaz’s programmes have a good mix of calisthenics and yoga, that make sure you’re working with every muscle in your body. 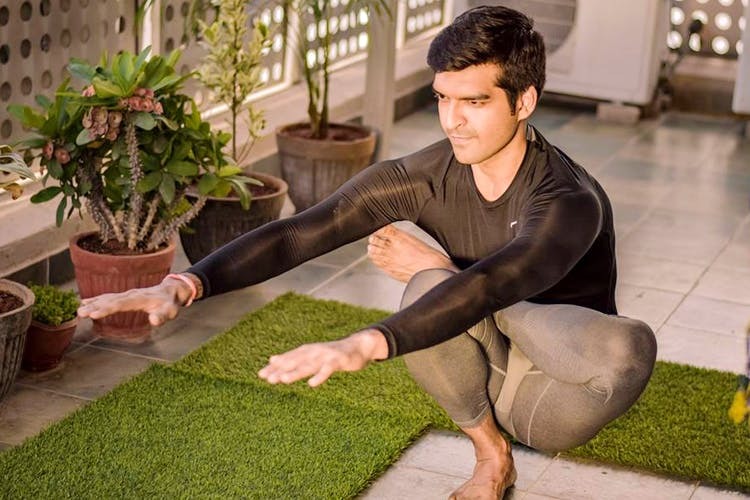 With gymnastics, suspension training and meditation sessions, all part of their regimen, this is one fitness programme that targets all aspects of health and wellness. And guess what? These guys also have a mini library, a keyboard, acoustic guitar and a lounge area just to make you feel comfortable. Talk about hipster gyms! Open to people of all ages, Milk and Bananaz starts at the grass root level, by focusing on the basics, right down to your posture, how you’re using your muscles and your movement, before moving on to more sophisticated exercises. They have six sessions that orient you with their programmes and outlook on fitness. If you’re looking for goal oriented workout and want abs in a week, this isn’t the place for you. But if you’re looking for a healthy lifelong change, this place is here to equip you with health practices and techniques that go a long way. They have a 24-hour workout workshop wherein you learn about your body, mind, exercise and the connect, and for the rest of the 22 hours, you take cues from your body. This not only helps in being in tune with your body, but ensure that you're active, and working the body to it's optimum, all day long. That's what fitness is right?